*Tamzin Clarke v Jack the Ripper by Lauren Stock, Robert Stock, Paula Goudreault. Price: Free. Genre: YA Romance of the Day, Sponsor, YA Action & Adventure, Horror. Rated: 4.9 stars on 12 Reviews. 174 pages. ASIN: B017TXNTEE. *A Warrior’s Heart (Deal, Not Free) by Amanda McIntyre. Price: $0.99. Genre: Adult Western Action & Adventure Deal, Sponsor, Native America. Rated: 5 stars on 2 Reviews. 182 pages. ASIN: B01M0GWXS3. *The Train: Book One: Romokai Series by R.L. Keys. Price: Free. Genre: Action & Adventure, Sponsor, Women’s Fiction. Rated: 4.7 stars on 3 Reviews. 39 pages. ASIN: B01LZ80WUT. *The Mad Monks Treasure (Southwest Treasure Hunters Book 1) by Kris Bock. Price: Free. Genre: Action & Adventure. Rated: 4.6 stars on 20 Reviews. 255 pages. ASIN: B00SKJU7BA. **Forbidden The Stars (The Interstellar Age Book 1) by Valmore Daniels. Price: Free. 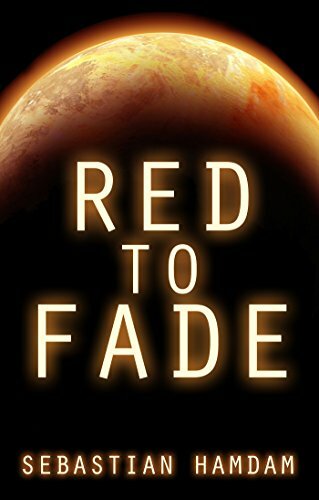 Genre: Science Fiction Adventure, Sponsor, First Contact, Space Opera. Rated: 4 stars on 270 Reviews. 326 pages. ASIN: B003XT5S4S. *The Train from Outer Space: Two Kids Team up with Friendly Aliens to Fight Space Monsters to Save Earth (Science Fiction Book for Kids 9-12) (Deal, Not Free) by Alan Sproles. Price: $0.99. Genre: Children’s Book Deal of the Day, Sponsor, Science Fiction Adventure. Rated: 4.9 stars on 16 Reviews. 222 pages. ASIN: B01GUF9IB0. **Forbidden The Stars (The Interstellar Age Book 1) by Valmore Daniels. Price: Free. Genre: Science Fiction Adventure of the Day, Sponsor, First Contact, Space Opera. Rated: 4 stars on 270 Reviews. 326 pages. ASIN: B003XT5S4S. ***The Dying Time: Impact (The Dying Time Trilogy Book 1) by Raymond Dean White, Duane Lindsay. Price: Free. Genre: Adventure Book, Sponsor, War & Military, Dystopian. Rated: 4.3 stars on 275 Reviews. 474 pages. ASIN: B00P8E15VQ. **Mutiny on the Bounty (Coterie Classics with Free Audiobook) by Charles Nordhoff. Price: Free. Genre: Classics, Sea Adventures, Sea Stories. Rated: 4.5 stars on 88 Reviews. 188 pages. ASIN: B01EK699XI.